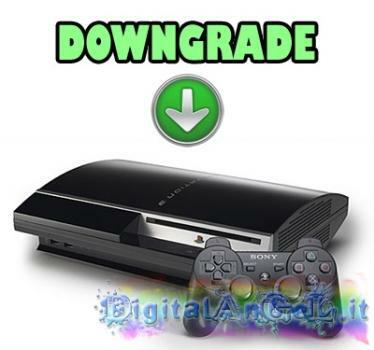 downgrade » Brewology - PS3 PSP WII XBOX - Homebrew News, Saved Games, Downloads, and More! We were the first in the world to test the downgrade from 3.70 to 3:55 on a PS3 Slim (With flash memory, ” NOR “) using the ProgSkeet and patched some files provided by dospiedra, a famous Spanish coder already discovered on the crest of the wave for the method of going back to 3:55 / 3:41 with the PS3 (FAT flash memory “NAND”). After several attempts, in collaboration with dospiedra, we got to go back from 3.70 to 3:55, enter the factory mode with a simple key to jailbreak, rifleshare a modified version of 3:55 to prevent the SYSCON (the registry in between downgrades) was consulted during the downgrade and now we are happily at 3:55 KMEAW! With this version of moddata 3:55, you can perform a memory dump today and you can switch on the fly from 3:55 to 3.70 without having to make all this long procedure times: progskeet using it you can go straight to 3.70 changed to 3:55! Dospiedra said it will release details on the patches applied to the NOR and the update file as soon as possible. New life for those who arrived too late to enjoy the benefits of the 3:55? As mentioned above, PS Downgrade is not a new chip, but it is the much anticipated software update to the original PSJailbreak chip. The update will be available for customers who have a valid serial, of the original PSJailbreak chip. Another website has also surfaced, www.ps-downgrade.com. This one showcases the following video, offering visual evidence of the downgrade. The site was up prior to any news being posted and uses similar graphics to PSDowngrade.com which leads us to believe it is another official partner.